In Memory of Tom "TC" Manbeck......2nd Platoon "A Master Pointman"
The term “Point Man” conjures up thoughts of many great men who served in this role during the Ripcord battle. 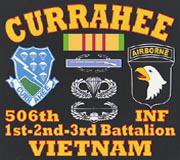 If you served in the second platoon of Charlie Company, 2/506th Infantry during the Ripcord battle, inevitably visions of two most remarkable men, Spec. 4 Tom “T.C.” Manbeck and Spec. 4 Sam “Cisco” Garcia, immediately pop into one’s mind whenever the term Point Man is used. T.C. 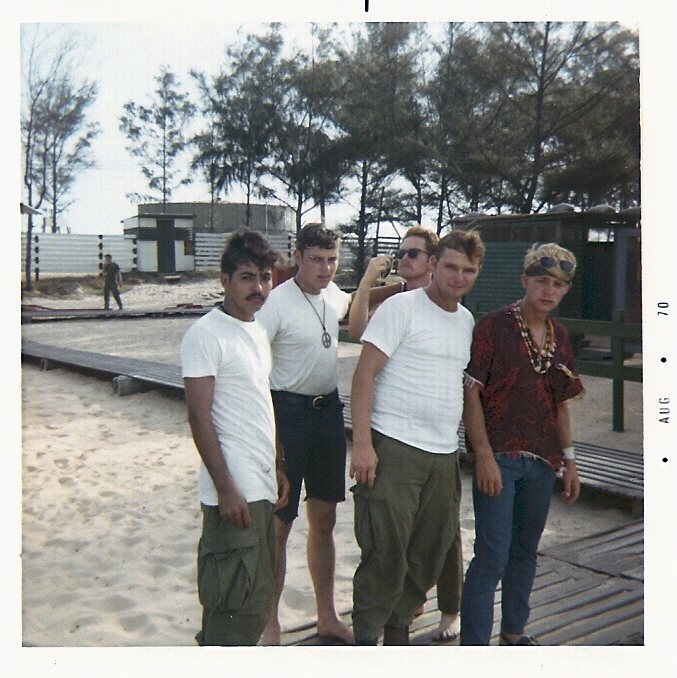 (Top Cat) and Cisco had been joined at the hip sometime shortly after their arrival in Vietnam near the end of 1969 while serving under Charlie Lieb in the second platoon and remained that way until their DEROS a year later. They were inseparable and the closest of friends and I have never in my life thought of one of them without thinking of the other. I cannot eulogize one without talking about the other for these two great soldiers formed a “pointman/slackman team” that had no equal during my tour in Vietnam. Whenever hereafter I express my feelings about T.C. the same feelings would also apply to Cisco. The two of them had as many similarities as they did dissimilarities. They were both, about 5' 7" in height, around 19 or 20 years in age, and I believe both of them were draftees. T.C. weighed about 140 pounds soaking wet and Cisco was just a few pounds heavier. T.C. was a free spirit, impulsive, full of energy and wit, and moved around under a “Cotton Top” mop of the blondest hair I believe I have ever seen. Cisco was much more introverted and methodical and had jet black hair that contrasted with T.C.’s “Cotton Top”. T.C. was from Pennsylvania and Cisco was from Colorado. 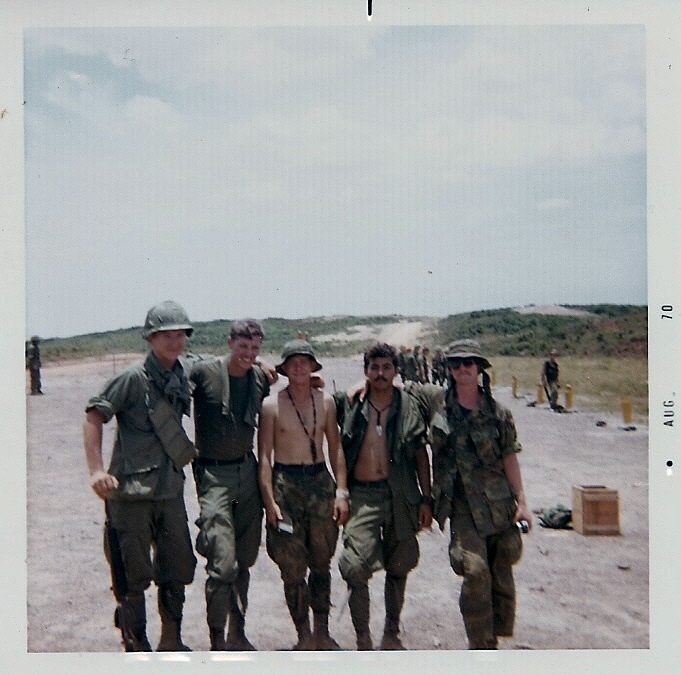 Many great men walked point for the second platoon during my tour in Vietnam. It is not the intention of this article to slight any man who did so, as I am indebted and grateful to every single one of them. However, there will always be a special place in my heart for “T.C.” and “Cisco” as they were the most incredible “point/slack team” that I was privileged to follow in Vietnam. There is something mystical about this job of point man as not every soldier can do it comfortably or with confidence. It requires more than just courage. I have often wondered over the years what made some men more adept at it than others. (a) An undaunted courage in the face of the enemy together with lightening quick reflexes. (b) A supreme confidence in their ability to perform the job. (c) An inner pride in performing a job that many others did not openly seek. (d) A vision equal to a wild turkey moving through the woods. (e) A keen ear that can clearly distinguish the different sounds of the jungle. 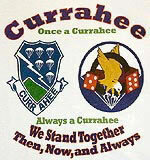 (g) A deep conviction that the platoon was most comfortable and best served when they were “On Point”. (h) Most importantly a sixth sense that is unique to only some individuals and includes an almost supernatural personal instinct to feel the situation in front of them._It is these qualities that stood out so in T.C. and Cisco and despite the passage of years it is still very easy for me to visualize these two magnificent soldiers cautiously and courageously working the trail for the rest of us to follow. The designation each day of the point team in the platoon is not always that easy a decision for the platoon leader. Generally I tried to follow a rotation system between the squads, with each squad taking turns in furnishing the point element for the day. I concluded that this was the “fair” way of doing things. However, it was not long before I found that I could not always follow the normal rotation. I found myself ignoring the normal rotation when things got difficult and that it became increasingly easy for me to call for T.C. and Cisco to point and turn them loose. The whole platoon felt better when we were moving and the two of them were “On Point”. It was unfair of me to do so and I felt for many years that the two of them most probably resented me for it, although neither of them ever once whined or lodged the first complaint to me about it. When I first got back with T.C. at the Mobile reunion after some 27 years, and after we had all consumed a whole lot of beers one late evening, I expressed my regrets to T.C. for having used him and Cisco out of the normal rotation too much of the time and in the worst of times. He threw his head back and laughed and said to me “Your damn right you did, L.T., but it don’t mean nothing. It damn sure ain’t nothing to lose no sleep over.” I could say nothing at that point to him other than “You be the man”. T.C., Layne Hammons, Paul Burkey, Frankie Marshall and I spent the remainder of the weekend in Mobile drinking all day and into the wee hours of the morning. Ben Harrison and Carolyn Harrison will remember this weekend vividly for they both stayed up talking to T.C. and Layne in the hospitality suite until 1:30 in the morning. It was T.C.’s first reunion and he was a ball of fire. He gave an inspiring speech to the group after the banquet about how we all had to keep this great thing going. He passed around an empty water pitcher that came back with around $700.00 in it for the Association, which was remarkable in that there were only about 30 people at the reunion. T.C. passed away on May 25, 2004, from a massive coronary attack. T.C., like many of us, had a lot of ups and downs in his life after Vietnam. He loved his two sons and his daughter very much. He loved his fiancé and her daughter. He found the Lord late in his life and became a good Christian. I believe that this enabled him to find the peace that had eluded him earlier in his life. He gave up drinking soon after the Mobile Reunion and successfully battled a bout with cancer. He particularly enjoyed attending the Ripcord reunions. He would become terribly embarrassed when his old L.T. would introduce him or refer to him as “The Legendary Point Man, T.C. Manbeck.” and would say “Cut me some slack, L.T.” He never gave a damn about accolades, praise, medals or glory. He knew that the respect and admiration of those comrades who had fought along side him was all that mattered. He also knew that he had given to the platoon all that was asked of him and much more. A young lieutenant could not be more grateful or blessed than to have served with such a remarkable soldier. The nation has lost a great warrior. We all mourn his passing. I am quite sure that today “The Legendary Point Man T.C. Manbeck” is walking with angels in the heavenly kingdom. He may have had to adapt from the jungle to the clouds but there is absolutely no doubt in my mind that he is leading the way down the trail……“On Point”!